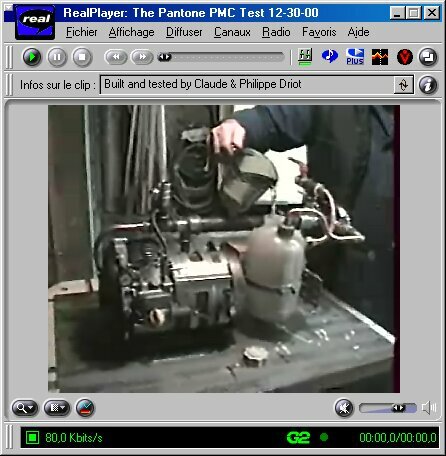 December 30th, 2000 : Successful tests of a 600 Watts Electrical Generator with a 78 cm3 ( 4 strokes engine ) retrofitted with the Pantone's Multi-Fuels Processor ( Construction and Tests by Claude and Philippe Driot (France) ). 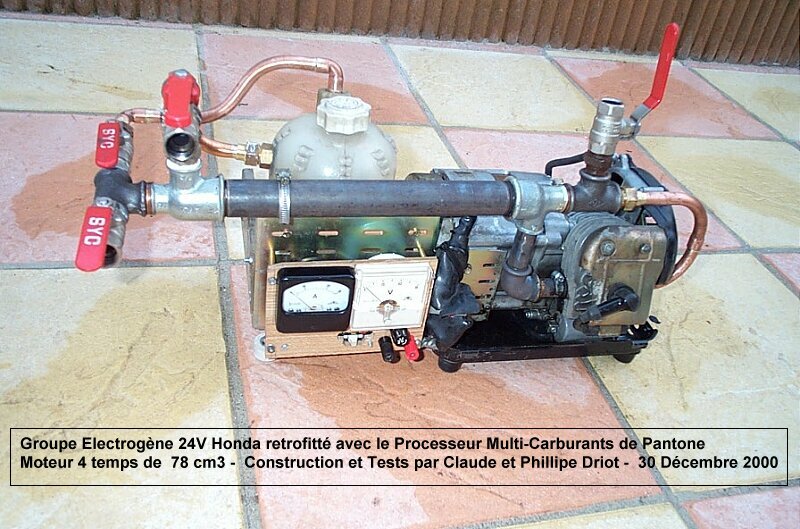 A 600 Watts power generator ( Honda 24 Volts with a 78 cm3, a 1 HP / 4 strokes engine ) has been retrofitted successfully by Claude and Philippe Driot according to the Multi-Fuels Processor diagram published freely on this web site ( see at the bottom of this page ). 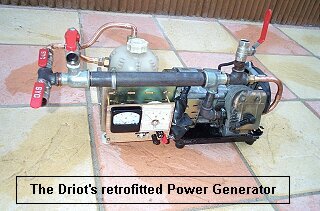 In spite of the big size of the reactor chamber used ( normally used for a 10 HP engine ), the engine has started without difficulties with a mixture of 75% water and 25% 'super' gasoline. 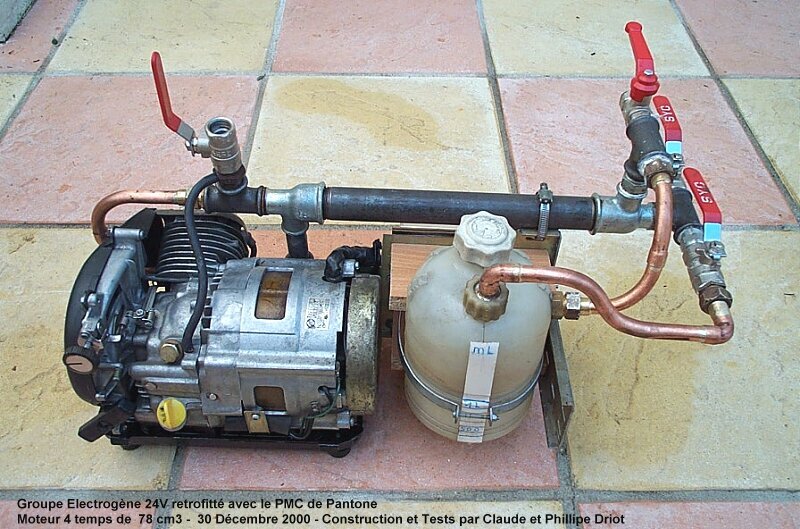 The device has run at full speed during all the test ( 6000 RPM ). 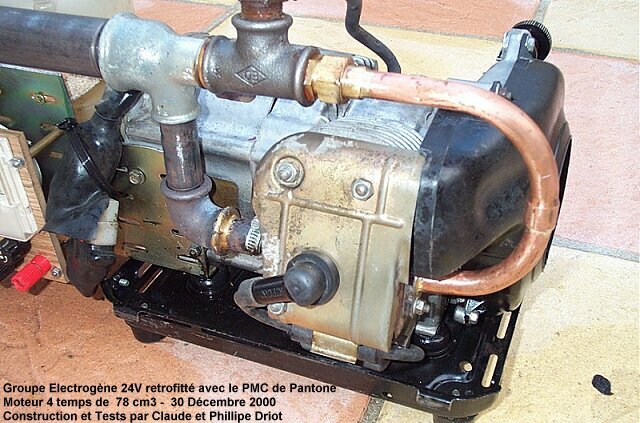 These first tests of the retrofitted engine are very encouraging and fully in line with the original Pantone's claim. A smaller reactor chamber is under developpement for this device, this will increase the pyrolitic effect on the water in the reaction chamber. We have noticed during these tests that the temperature of the reaction chamber isn't sufficiently high for the best pyrolitic effect due to the smaller size of the engine used. 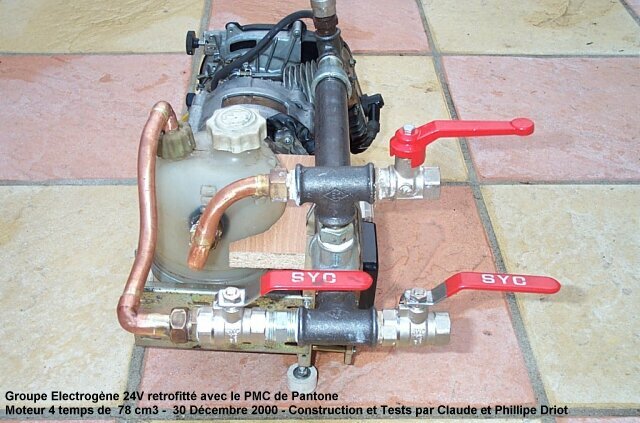 Note from Jean-Louis Naudin : CONGRATULATIONS to Claude et Philippe Driot for their successful replication and tests.